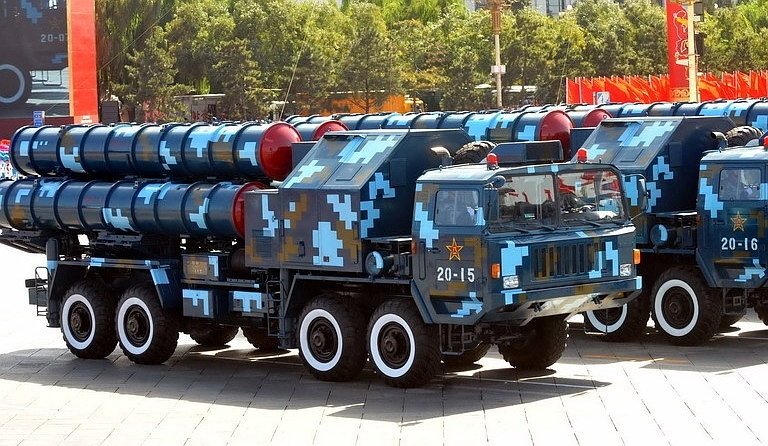 Modern SAMs like this Chinese HQ-9 system have none of the vulnerabilities of the SAMs defeated in the Middle East, and employ highly automated digital fire control systems and radars. (image Chinese internet). There are major disparities in the recorded combat effectiveness of Soviet supplied Surface to Air Missile (SAM) systems, used in past decades, across theatres of operation. Most interesting is how poorly these SAM systems performed in the Middle East, compared to their combat effect in South East Asia. The relevance of this arguably obscure historical detail, is that contemporary perceptions of the effectiveness of the latest generation of Russian and Chinese built SAM systems are more than often, in Western defence bureaucracies, determined on the basis of views such as “We trashed Russian SAMs completely in 1991, so why should we care about the effectiveness of current SAM systems?”. The latter argument has been put to this author more than once in recent times, by parties in Australia and overseas, so the perception that the effectiveness of state of the art new technology SAMs is no different to that of 1960s and 1970s technology SAMs operated in Middle East nearly two decades ago is widely held, and often fervently believed. 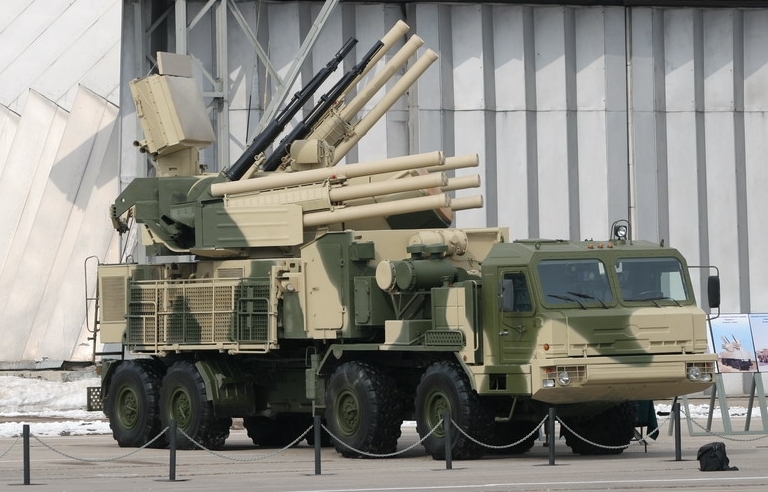 The material reality is that newer generation SAM systems such as the S-300PMU1, S-300PMU2 Favorit (SA-20), HQ-9/FD-2000/FT-2000 and S-400 Triumf (SA-21) are in terms of basic technology and performance very close to, if not better than the US MIM-104 Patriot series, and importantly, have never been challenged in combat by Western air forces, these including the formidable Israeli Air Force. The volume of detailed technical material now available from open sources on Soviet era SAM systems, specifically the SA-2 Guideline (S/SA-75 Volkhov/Dvina), SA-3 Goa (S-125 Neva/Pechora), SA-5 Gammon (S-200 Vega) and SA-6 Gainful (2K12 Kub/Kvadrat) is staggering, by Cold War era standards, and permits a much more focused and deeper analysis of the operational issues than was even possible using then limited classified source materials, during the Cold War period. In South East Asia, the Soviet S-75/SA-2 Guideline was used exclusively, with batteries deployed widely across North Vietnam from the mid 1960s. Sources vary widely on numbers, but a common figure is 50 batteries rotating between 150 fixed SAM sites. Figures on the number of SAMs fired per kill also vary, with declassified data suggesting dozens of rounds per kill, increasing over time as the US improved its defence suppression technique and technology. The Soviet S-75/SA-2 Guideline was designed primarily as a “strategic SAM”, intended to provide area defence of fixed target areas against attacking aircraft at medium to high altitudes. The command link guided weapon had a variable thrust liquid propellant rocket sustainer motor, and was supported typically by an X-band RSNA-75 Fan Song engagement radar, and a P-12 Spoon Rest 2D VHF-Band acquisition radar. Nominal redeployment time for a battery was several hours, dependent in part on battery crew proficiency, and in part on terrain, as a large convoy of vehicles was required for movements. Perhaps most contentious matter in this discussion is what constitutes the best “measure of effectiveness” for assessing the PAVN SAM force. 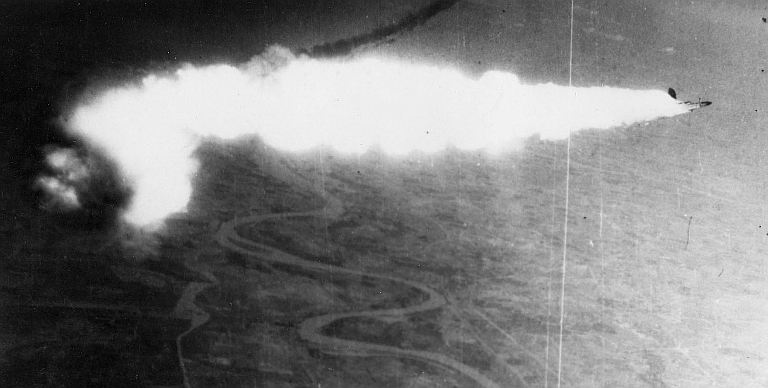 Over North Vietnam (NVN), most losses were statistically produced by PAVN Anti-Aircraft Artillery (AAA) batteries, in fact total US Air Force losses of 740 F/RF-4, F-105 and F-100 tactical fighters between 1964 and 1973 can mostly be credited to AAA in NVN and Laos. Declassified US statistics show a good fraction of the these losses resulted from low altitude attacks on SAM sites, and most others from low altitude attacks on other targets in an attempt to stay below the medium to high altitude engagement envelope of the SA-2. While direct losses to SAM firings appear modest, the percentage of kills to SAMs was as high as 31.5% for F-4 in 1971-73, and 17 B-52s were lost, mostly to SAMs. Usually supported by experienced Soviet or Warsaw Pact instructors, the PAVN operated the SA-2 to best effect, exploited its limited mobility fully, and used the SA-2 to bait “flak traps”, as well as to drive US aircraft into the envelope of dense AAA fire. In addition, the large and ongoing effort to suppress or destroy SAM systems absorbed a large proportion of sorties flown into NVN. The simple metric of counting direct losses to enemy weapon types is not a particularly good “measure of effectiveness” for assessing the effect and impact of air defence weapon types in a mixed threat environment. With no SAMs deployed in a theatre, the effectiveness of visually aimed and radar directed AAA is poor, as aircraft can attack unhindered from medium and high altitudes, out of the useful envelope of barrelled weapons. By the same token, in a SAM rich environment where AAA would be absent, aircraft can attack unhindered from low altitudes, exploiting terrain masking and performance limitations in SAMs and their supporting radar systems. In NVN operations, the PAVN followed period Soviet doctrine very closely, and that doctrine dictated the use of mutually supporting and overlapping air defence weapons through the whole altitude envelope. The effect is synergistic, in the sense that no portion of the altitude envelope then presents a low penetration risk for the attacker. When assessing the combat effectiveness of SAMs, on a per system basis, a much better measure is the number of kills produced per round fired, per engagement. The difficulty in producing hard analysis is that without hard data on rounds expended, this measure is difficult to produce with any accuracy. While raw statistics on losses to AAA would appear to favour AAA over SAMs in SEA operations, what proportion of the aircraft sorties flown would have entered the AAA engagement envelope had SAMs been absent, and what number of AAA systems was deployed at what personnel and expended munitions cost, in comparison with PAVN SAM battery numbers? 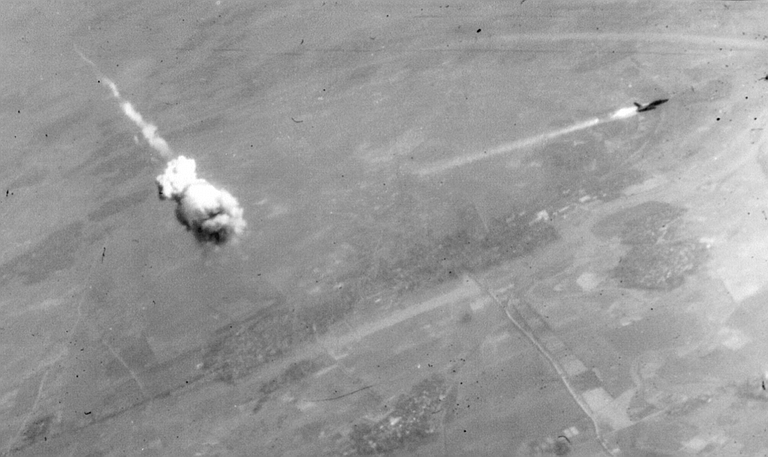 There are two illustrative examples from the NVN air campaigns, both falling into the latter period of the conflict. The first is the use of the F-111A during the 1972 Linebacker I/II campaigns. 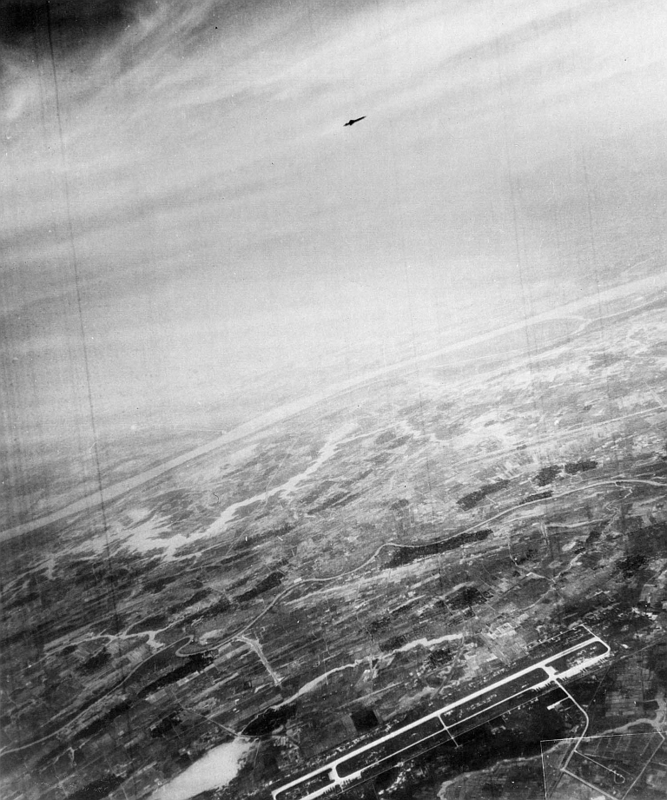 Flying at very low altitudes using automatic terrain following radar, the aircraft defeated both radar directed AAA and SAMs, and incurred statistically per sortie the lowest loss rates in these campaigns. The highest per type loss rate during Linebacker II was incurred by the B-52 fleet, exclusively to S-75/SA-2 SAM shots, despite the heavy use of onboard EW, support jamming aircraft, defence suppression aircraft, chaff bombers and fighter escorts. Had SAMs been absent from the theatre, it is unlikely any B-52s would have been lost. 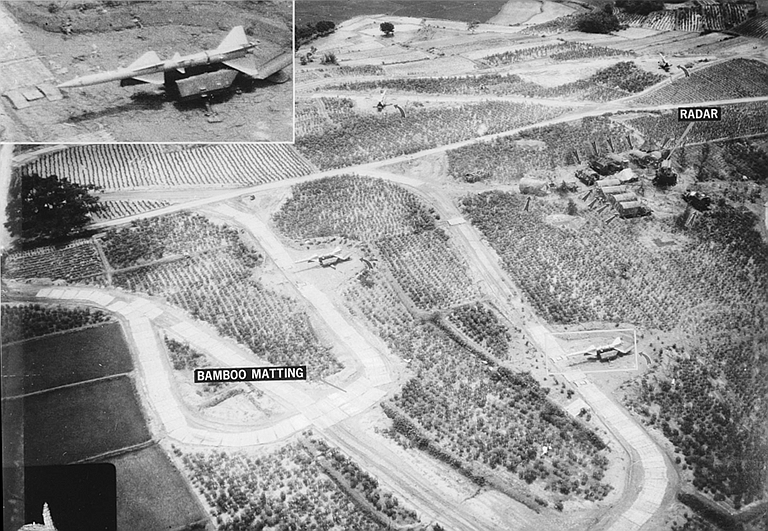 The statistical loss rate of 15 x B-52D/G across 729 flown sorties is around 2 percent, the limit for sustainable losses in an attrition strategy campaign, despite the concerted defence suppression effort directed against the PAVN SAM force. Importantly, once the PAVN expended most of its warstock of S-75/SA-2 SAM rounds, no further B-52s were lost. A factor frequently ignored in lay analyses of such campaigns is the fraction of total effort expended in providing defence suppression support for penetrating aircraft. A large proportion of tactical aircraft sorties flown during Linebacker II, including much of the F-111 effort, was directed against PAVN S-75/SA-2 SAM sites. Effort expended and losses so incurred are directly correlated with SAM deployment. Any objective analysis of the combat effect of SAMs in SEA operations must therefore consider not only losses directly attributable to SAM hits or SAM combat damage, but also effort expended and losses to all other causes arising from operational measures taken to suppress or evade SAM batteries. From this perspective, Soviet SAMs were the single most effective component of the PAVN IADS. 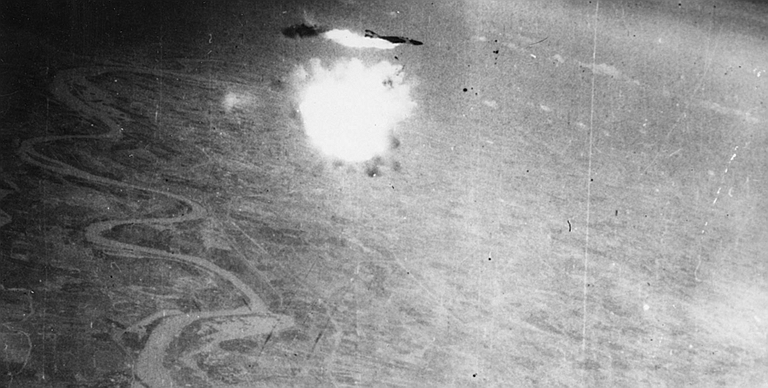 Above, proximity fused SA-2 round explodes beneath a US Air Force RF-4C Phantom flown by Capts. Edwin Atterberry and Thomas Parrott near Hanoi, 12th August, 1967. 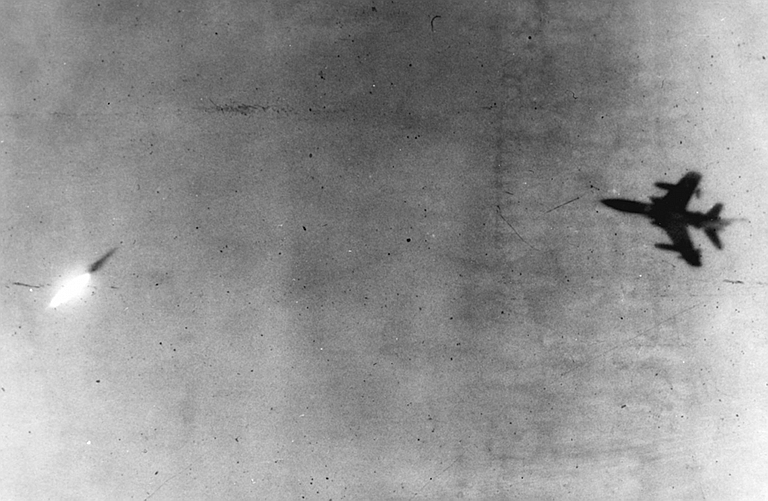 Below, the RF-4C breaks up as a result of fatal structural damage. Both crew survived the ejection, but Capt Atterberry was later killed in captivity by the PAVN (US Air Force images). Data from Middle Eastern conflicts, other than Desert Storm, is far more fragmentary, and more than often contaminated by a reluctance on the part of the Israelis, Egyptians and Syrians to fully disclose combat losses. There have been ongoing public arguments ever since over “who killed what when” . Major clashes involving the use of Soviet SAMs were the War of Attrition between Israel and Egypt, the 1973 Yom Kippur war, and the 1982 invasion of Lebanon. The first Soviet SAMs in the region were 15 to 25 SA-2 batteries delivered during the late 1960s, but were not particularly effective. They were crewed by Egyptians with Soviet instructors, and some were captured in the Sinai advance of 1967. Syria during this period deployed the SA-2 and fielded 18 batteries, later supplemented by 16 SA-3 batteries. In early 1970, the Soviets initiated Operation Caucasus, and deployed an overstrength division of Soviet PVO air defence troops, comprising 18 battalions in three brigades, led by General Smirnov of the PVO, and drawn from PVO units in the Dnepropetrovsk, Moscow, Leningrad and Belarus districts. Each battalion comprised four SA-3 batteries, a platoon of ZSU-23-4 SPAAGs and supporting SA-7 MANPADS teams. While these units were ostensibly “instructors”, they were dressed in Egyptian uniforms and provided full crewing for the deployed SAM systems. Through early 1970 the PVO units were deployed along the Suez Canal. Operational doctrine was similar to NVN, with batteries relocating frequently, and setting up ambushes for Israeli aircraft, using multiple mutually supporting batteries. The Soviet S-125/SA-3 Goa was designed primarily to provide point defence of fixed target areas against attacking aircraft at low to medium altitudes. The command link guided weapon had a fixed thrust solid propellant rocket sustainer motor, and was supported typically by an X-band SNR-125 engagement radar, and a P-15 Flat Face UHF-Band acquisition radar, with respectable low altitude clutter rejection performance. Nominal redeployment time for a battery was several hours, not unlike the S-75/SA-2, dependent in part on battery crew proficiency, and in part on terrain, as a large convoy of vehicles was required for movements. In subsequent engagements against the Israelis, the Soviets are claimed to have shot down five Israeli aircraft using the SA-3, making for a cumulative total of 22 lost to SA-2, SA-3 and AAA during this period. The Egyptians sought to retake their 1967 losses in 1973, and to support that campaign procured three brigades of SA-6 Gainful, comprising 18 batteries. Unlike Soviet batteries using the “shoot and scoot” 1S12 Long Track radar, Egyptian SA-6 batteries mostly used the semi-mobile P-15 Flat Face and P-15M Squat Eye UHF radars. Syria is claimed to have procured two brigades. When the Egyptians crossed the Suez Canal, and the Syrians stormed the Golan Heights, their ground forces and strategic targets were protected by SAM and AAA units. It is widely acknowledged that the Israelis suffered heavy losses of aircraft during the fighting in 1973. Exactly how many were lost to SAMs, and to which type of SAM, has been less well documented. Israeli public claims are that 303 aircraft were lost in combat, and other sources identify 40 of these as lost to SAMs, and between 4 and 12 to Arab fighters. This puts most Israeli losses as a result of low altitude AAA fire, and emulates the pattern observed in SEA – SAMs denying the use of high and medium altitude airspace, driving aircraft down into the envelope of high density AAA. The Soviets were cast out of Egypt in early 1976, followed by Sadat’s peace treaty with Israel and Egypt’s realignment away from conflict with the West. Chinese and Western contractors took over support of the Soviet SAM systems. The next major conflict to see SAMs used in anger was the Israeli invasion of Lebanon in 1982, named “Operation Peace for Galilee”, and intended to drive the PLO out of Lebanon. This well thought out and planned campaign was an absolute rout of the Syrian SAM belt installed in the Bekaa Valley of Lebanon. The first attack of the 9th June, 1982, saw 17 of the 19 Syrian SAM batteries annihilated, the Israelis using airborne standoff jammers extensively, and supported by emitter locating systems, also fired large numbers of AGM-45 Shrike and AGM-78 Standard anti-radiation missiles, in addition to domestically modified Shrikes with rocket boosters, launched from trucks like Katyusha rockets. Crippled and defenceless SAM batteries were then annihilated with free fall bombs. “Syrian SAM operators also invited disaster upon themselves. Their Soviet equipment was generally regarded as quite good; Syrian handling of it was appalling. The 1982 Bekaa Valley debacle was repeated on a much larger scale in January, 1991, when US led Coalition air forces annihilated Saddam’s SAM defences, the decisive blows inflicted in the first few hours. While that campaign is well documented in detail elsewhere, like the 1982 campaign, large scale use was made of anti-radiation missiles, support jamming, and precision weapons. The deployment pattern of Saddam’s forces also differed little, with few batteries attempting to exploit any inherent mobility in their systems, and often undisciplined emissions permitting easy location, targeting and attack. The composition of Saddam’s SAM force comprised much the same SA-2, SA-3, SA-6, SA-8 and SA-9 SAM systems, supplemented by some modern French supplied Thales Roland SAMs and Tiger series radars. 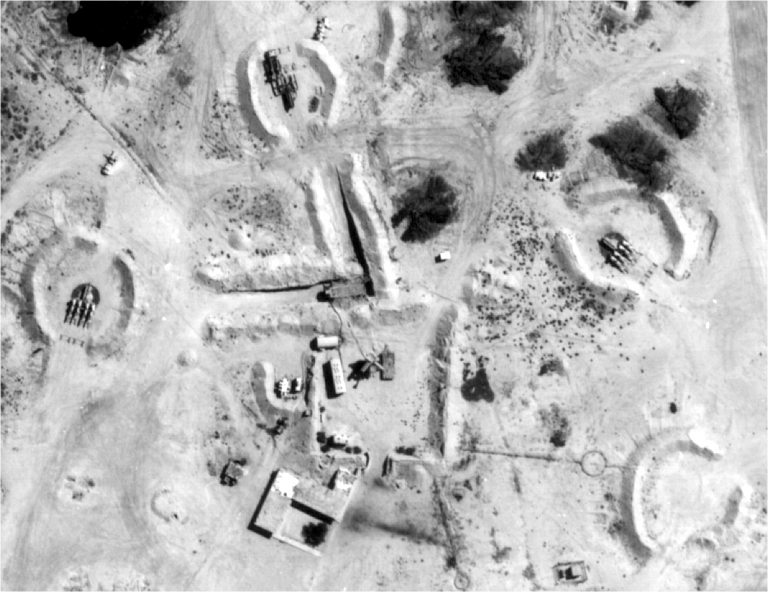 Aerial reconnaissance image of a Middle Eastern S-125 / SA-3 Goa site (via http://peters-ada.de/). 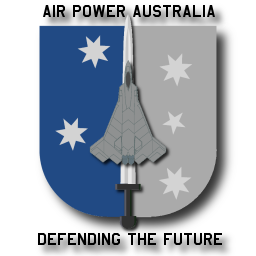 The common thread running through the latter Middle Eastern SAM vs air power campaigns is very clear – the use of ageing and often obsolescent SAM and radar technology and the abandonment of the by then mature Soviet doctrine of SAM system mobility, concealment, deception and mutual support. Most of the fire control and search radars used were by then fully compromised to the West, and highly effective electronic countermeasures were available. There is another consideration, which is difficult to establish through published sources, which is that of the education, training, proficiency and competencies of the SAM battery crews operating Syrian and Iraqi systems during this period. Study of the plethora of detailed technical materials now available on Soviet SA-2, SA-3, SA-5, SA-6 and SA-8 SAM systems, and discussions with former Warsaw Pact missileers, indicate that the full effectiveness and performance potential of these first and second generation Soviet SAMs required crews which were highly intelligent, with a good technical education, and both very highly trained and proficient. Tight teamwork in the missile control van was essential, as the crew had to integrate and interpret outputs from multiple sensors, using often rudimentary analogue displays. Critical tasks such as initial target acquisition, and target tracking, were more than often performed manually, with the operator having to concurrently interpret more than one display output, in real time. Limited electronic counter-counter measures were available, requiring a smart operator to interpret and understand the type of hostile jamming, to manually select alternate frequencies and modes. This was paralleled by challenging demands for technical personnel, especially in the setup and tear down of SA-2 and SA-3 batteries, which a highly proficient crew could relocate in about six hours. Launchers and vans had to be deployed, everything connected by cable harnesses, antennas needed alignment, and the whole system had to be tested before it could go online. While the SA-6 and SA-8 were designed for shoot and scoot mobility, maintenance of their complex systems was no less challenging, requiring vanloads of test equipment. Training for all of these systems required a van full of equipment to provide simulation inputs for the SAM control system. The failure of Syrian and Iraqi missileers to follow Soviet operational doctrine, tactics and deployment technique indicates that the root cause of poor effectiveness in combat was deeply deficient training of missileers, and prima facie, also support personnel. The effectiveness of the very same SAM systems, operated by Soviet, Warsaw Pact and PAVN personnel, was vastly better, whether in the Middle East or South East Asia. The 1999 bombing of Serbia is the case study, which closes this loop. 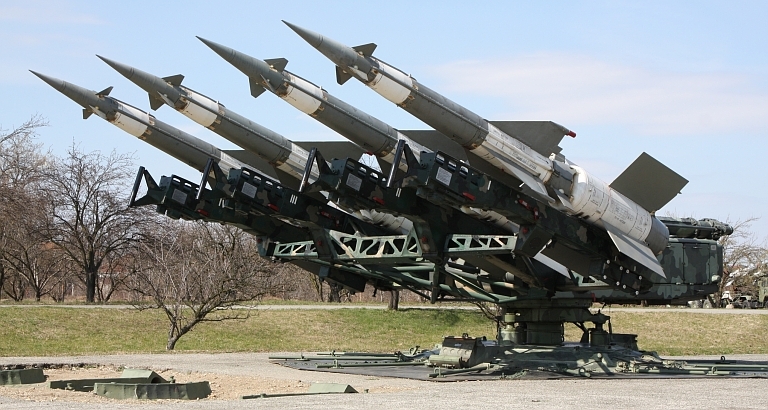 While Serbian SA-2, SA-3 and SA-6 batteries were largely ineffective due to the use of standoff jamming, anti-radiation missiles and stealth, they also proved vastly more difficult to kill due to smart use of mobility, camouflage and emission control. A single SA-3 battery, commanded by then LtCol Zoltan Dani, downed an F-117A and an F-16C, and damaged another F-117A. Prior to the conflict, Dani worked his crew for weeks in the simulator, driving up proficiency and crew teamwork. During the conflict, he relocated his battery as frequently as possible, and exercised strict emission control. His battery survived and inflicted the single most embarrassing combat loss the US has suffered for decades. Serbian SA-6 crews, following the same hide, shoot and scoot doctrine, mostly survived the war. The Serbian SAMs and radars were largely of the same vintage and subtypes, as those used by the Iraqis and Syrians. The fact that NATO forces were unable to quickly kill off the Serbian SAM batteries forced continuing and ongoing sorties by NATO support jamming and defence suppression aircraft, driving up the cost to drop each bomb delivered several-fold. NATO forces launched 743 AGM-88 HARM anti-radiation missile rounds for very little damage effect – around one third of the number used to cripple Iraq’s much larger air defence system in 1991. If we compare Desert Storm to Allied Force, the SAM systems were largely the same, but NATO had better electronic warfare systems, many more Emitter Locating Systems, and an abundance of newer smart munitions, including newer and better anti-radiation missiles. The fundamental difference was in the personnel operating the SAM systems – better educated, better trained, and highly motivated. SNR-125M1T Low Blow UNV radar head, UNK operator van and 5P73 launcher with four 5V27D Goa rounds loaded, all components of a Serbian SAM battery responsible for killing a US F-117A Nighthawk and F-16C (images © 2009, Miroslav Gyűrösi). 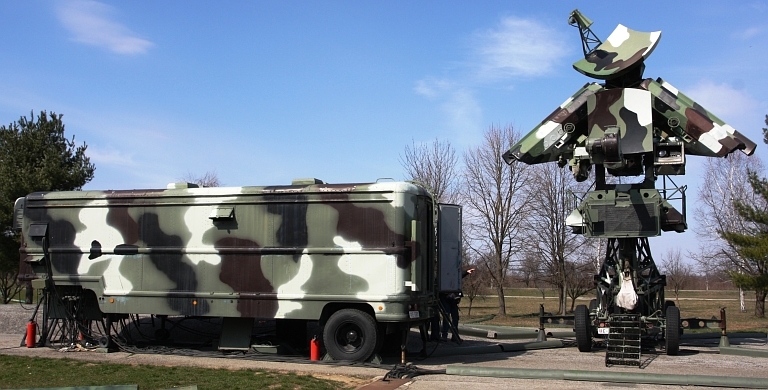 Fully deployed 72V6 (SA-22) SPAAGM prototype on BAZ-6909 chassis. This variant incorporates a new VNIIRT designed 1RS2-1E agile beam phased array engagement radar. The primary design aim for this system was the interception of PGMs, especially the AGM-88 HARM/AARGM and GBUs (Sergei Kuznetsov via Strizhi.ru). Chinese LD-2000 demonstrator during trials, this 30 mm Gatling gun SPAAG was derived from a naval CIWS point defence system developed to kill anti-ship cruise missiles. The stated role of this SPAAG now includes the defeat of munitions in flight. The study of SAM effectiveness in air campaigns between the 1960s and the last decade may span a period of almost a half century, but in every one of these campaigns the numerically dominant SAM systems were Soviet designs which were developed during the 1950s and 1960s, specifically the S-75 / SA-2 Guideline, the S-125 / SA-3 Goa and the 2K12 / SA-6 Gainful, with sporadic use of the S-200VE / SA-5 Gammon and 9K33 / SA-8 Gecko. Modern SAMs are all kinematically superior to their Cold War era predecessors, by virtue of better rocket motor technology, and digital guidance, yielding greater engagement ranges and terminal endgame manoeuvre performance. Contemporary SAM systems in these categories include the Russian SA-20 (S-300PMU1, S-300PMU2), Chinese HQ-9/FD-2000 and Russian SA-21 (S-400). These are modern systems with highly jam resistant radars, and if the Chinese are correct, basic low probability of intercept capability. These systems will be difficult to locate, jam and guide anti-radiation missiles against. No less importantly they have modern highly automated digital fire control systems, not unlike Western SAMs of this era. The demands for proficiency and technical understanding of operation by crews seen in early Cold War SAM systems no longer exist – operators have sophisticated LCD panel displays with synthetic presentation. In deployment, these systems are heavily automated, using mostly hydraulic rams to elevate and unfold key system components, and thus little operator skill is needed to set up or relocate a battery – most can shoot and scoot in five minutes. The development and deployment of Cooperative Engagement Capability (CEC) sensor fusion systems to defeat electronic countermeasures, and to an extent, low observables. As a result, a modern IADS equipped with current Russian and Chinese SAM systems will be very difficult to defeat by non-lethal and lethal suppression or kill techniques. A large fraction of guided munitions launched will be shot down, or their guidance defeated. In conclusion, the perception that contemporary Russian and Chinese SAM systems can be defeated as easily as Syrian and Iraqi systems in 1982 and 1991 is nothing more than wishful thinking, arising from a complete failure to study and understand why and how SAM defences failed or succeeded in past conflicts. Pratt J.C, Maj, USAF, Tactics Against NVN Air Ground Defences December 1966-1 November 1968, HQ PACAF, Directorate Tactical Evaluation, CHECO Division, 1969, Secret [Declassified 15/08/2006]. Streets G.B., Gabbert R.D., Capt, USAF, A Comparative Analysis of USAF Fixed-Wing Aircraft Losses in South East Asia Combat, Technical Report AFFDL-TR-77-115, Air Force Systems Command, December, 1977. Werrell, K.P., Did USAF Technology Fail in Vietnam? Three Case Studies, Air Power Journal, Spring 1998. Yaacov Ro'i, Boris Morozov (Ed), The Soviet Union and the June 1967 Six Day War, Stanford University Press, 2008, URL: http://www.sup.org/book.cgi?id=15923. Cordesman A.H., Wagner, A.R., The Lessons of Modern War, Volume 1, 1990, in Yom Kippur Special, Defense Update, Number 42. Hurley M.M., C1C, USAFA, The BEKAA Valley Air Battle, June 1982: Lessons Mislearned?, Air Power Journal, Winter 1989. Kopp C., Desert Storm, The Electronic Battle, Australian Aviation, June/July/August, 1993, Aerospace Publications, URI: http://www.ausairpower.net/Analysis-ODS-EW.html.